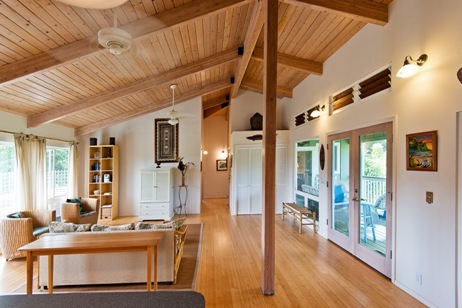 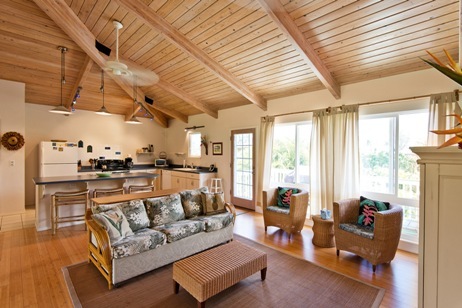 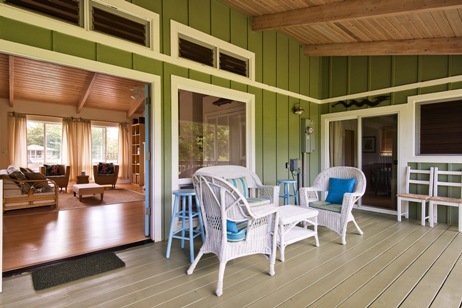 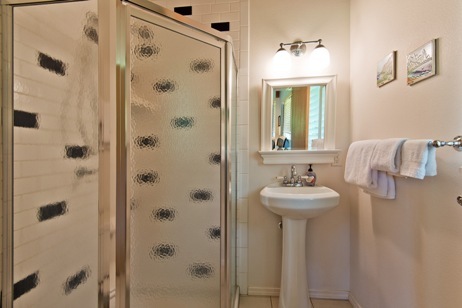 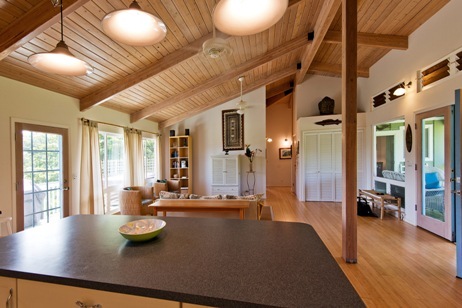 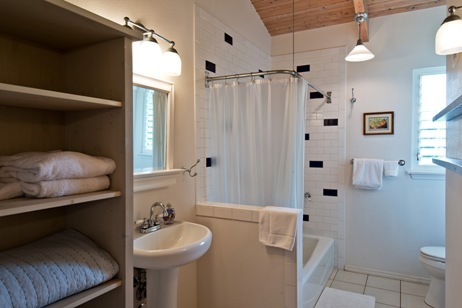 HAENA, KAUAI VACATION RENTAL: Welcome to Hale Oli, the House of Happiness. 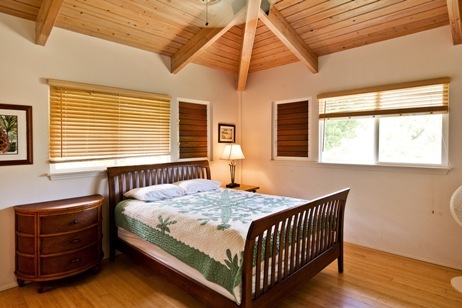 This two bedroom (queen beds), two bath, smartly furnished vacation rental is perfect for a romantic getaway or ideal family vacation. 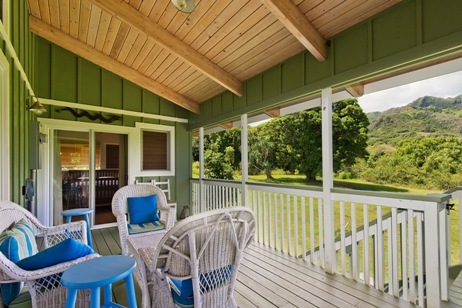 Located only a few minutes walk from the ocean, three bright and airy lanais, beautiful views of the stunning sculpted Haena mountains (including Mount Makana) and vibrant rainbows. 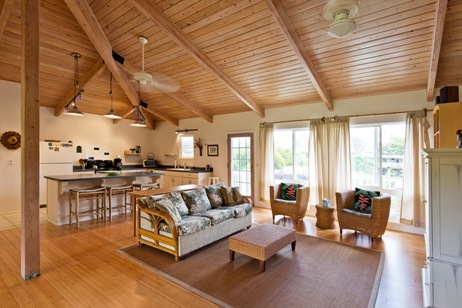 Some ocean views can be seen from the east-facing lanai. 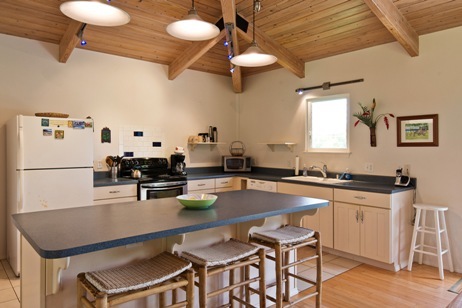 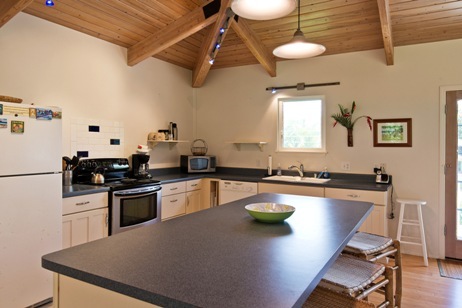 Enjoy making fresh cooked meals with delicious island ingredients in the well equipped spacious kitchen. 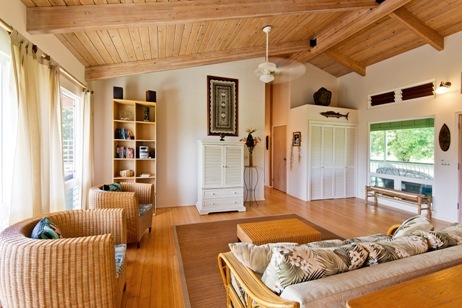 The comfortable living room is equipped with all the modern conveniences like satellite TV, CD, VCR, high speed internet, and great lanai perfect for star watching after a day of hiking and beach going. 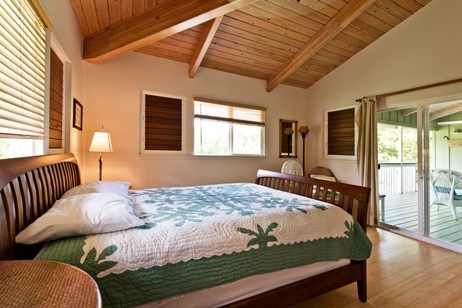 Hale Oli is just steps to Wainiha Beach and a short drive to Tunnels, Kee Beach, Haena Beach Park, the Kalalau Trail, and Lumahai beach. 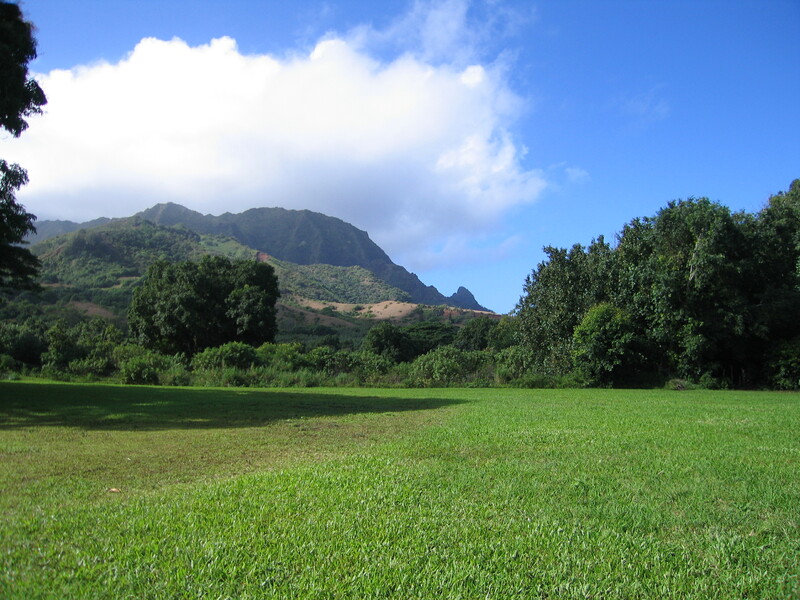 Drive fifteen minutes to Hanalei, or another five minutes beyond to Princeville for golf and horseback riding. 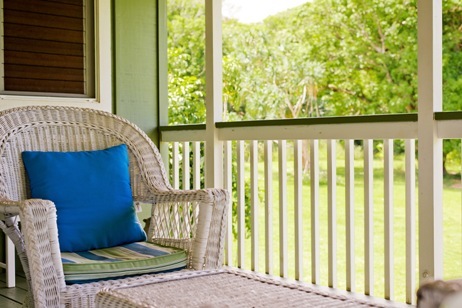 Quiet and relaxing, feel the trades and listen to the waves in season. 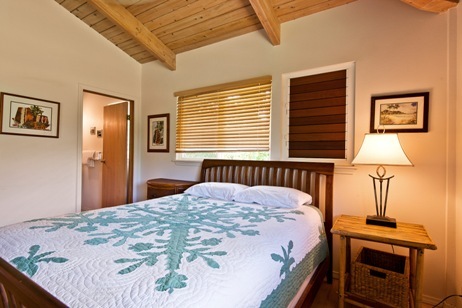 Hale Oli will become a family favorite to come back again and again.